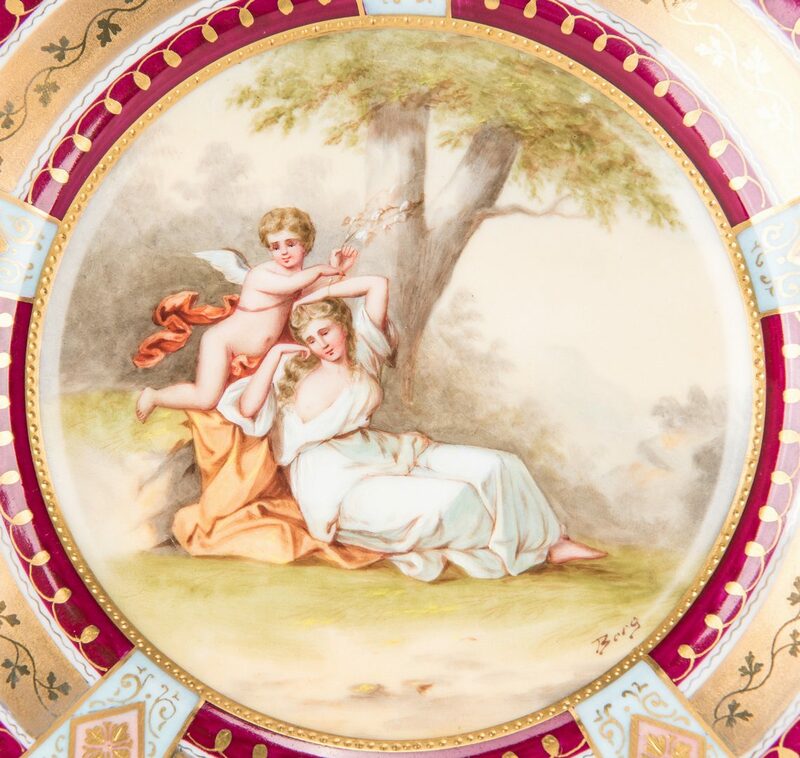 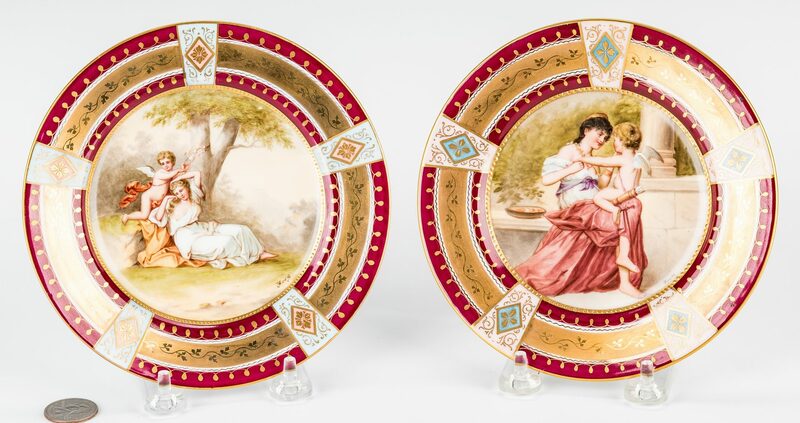 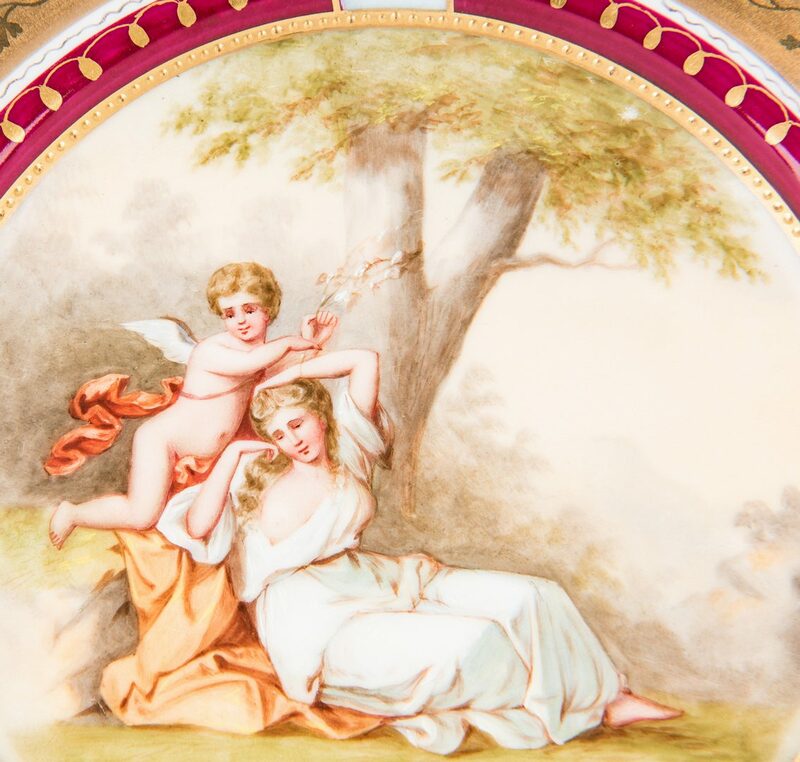 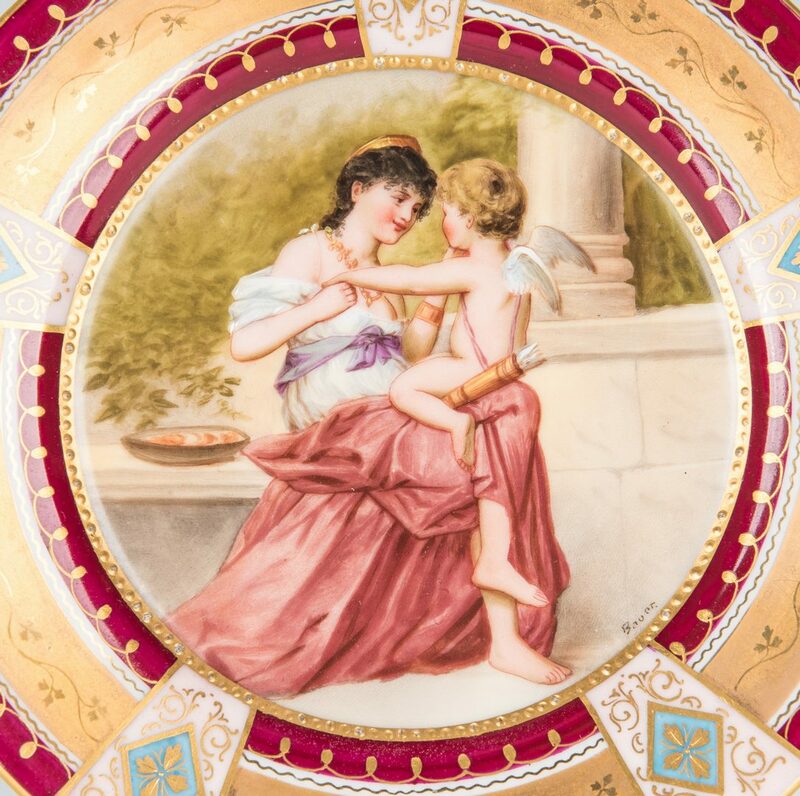 Pair of Royal Vienna hand painted porcelain cabinet plates, beehive marks, Cupido U. Aglaia and Liberspiel (Love Game) signed Berg and Bauer. 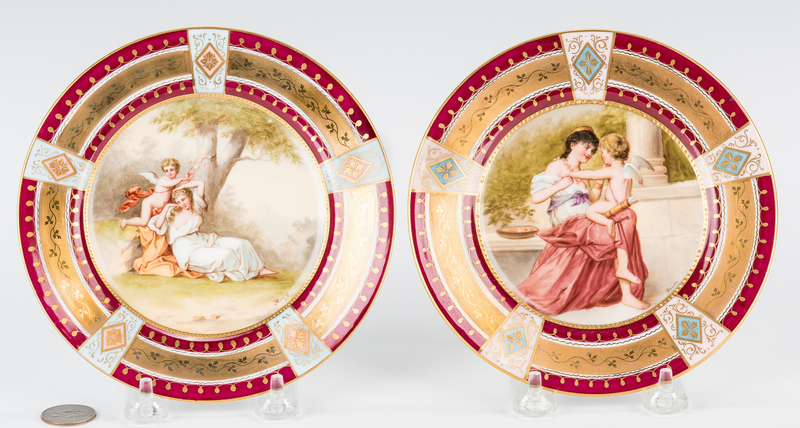 Both with gilt encrusted burgundy, pink and blue borders and blue underglaze beehive marks. 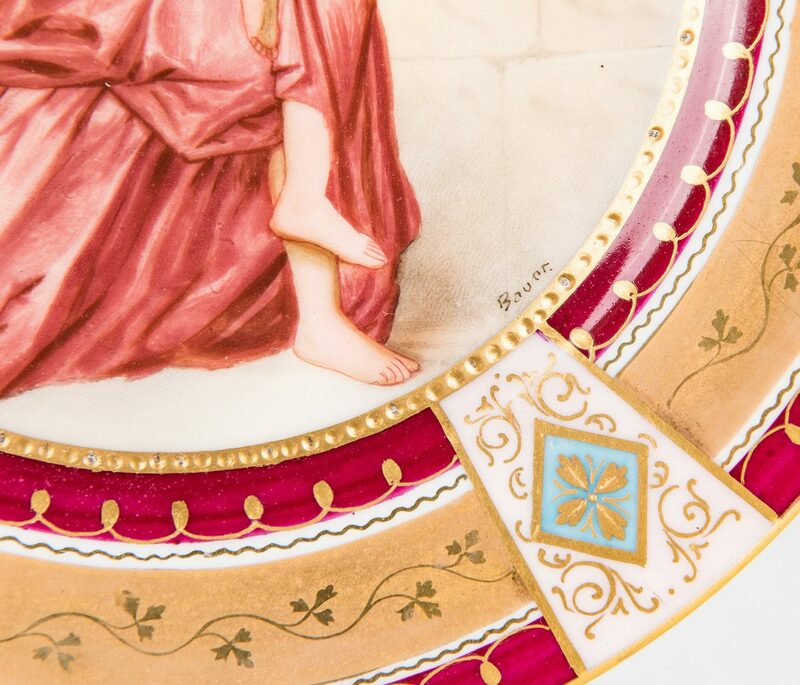 6 1/2" dia. 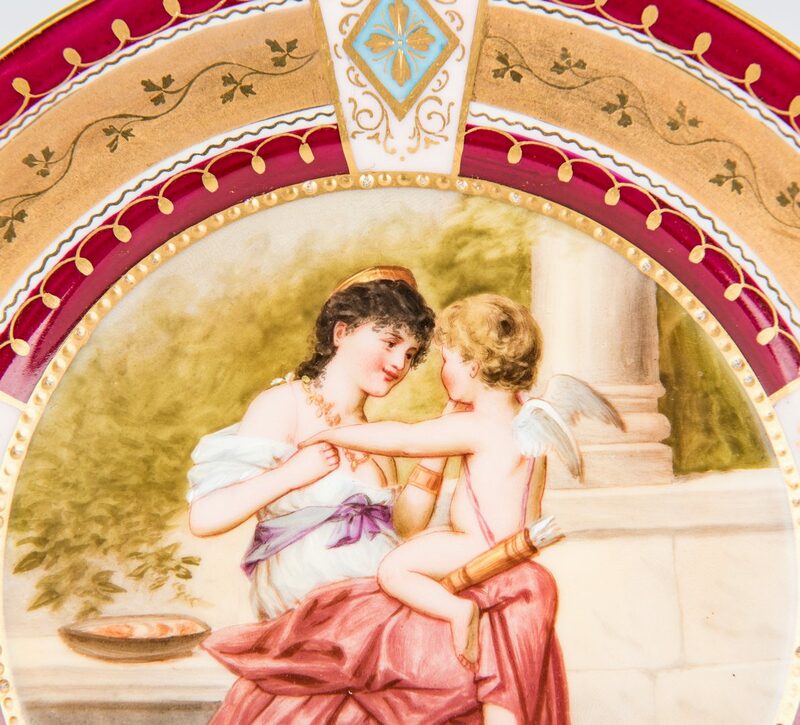 German, Circa 1900. 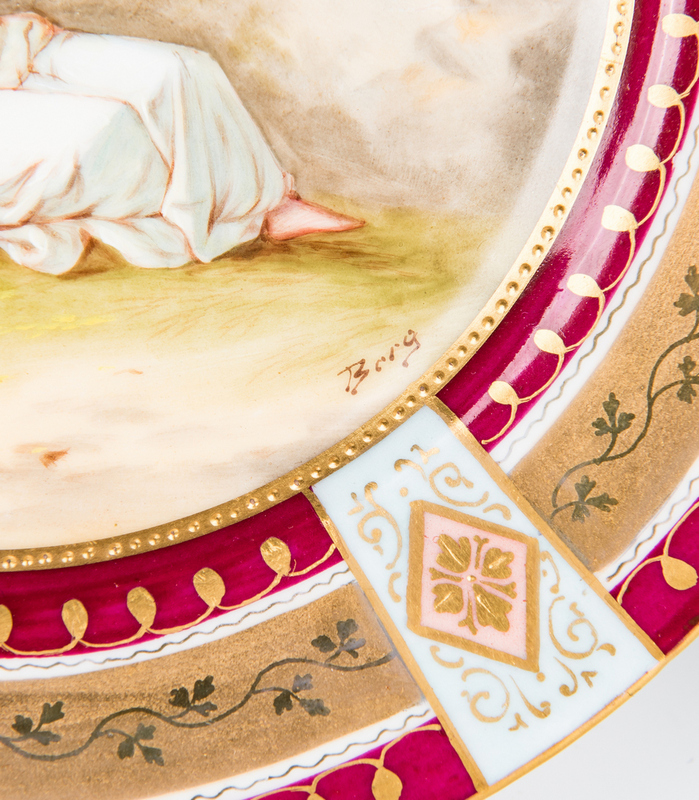 Property of the Hunter Museum of Art, being sold to benefit future acquisitions. 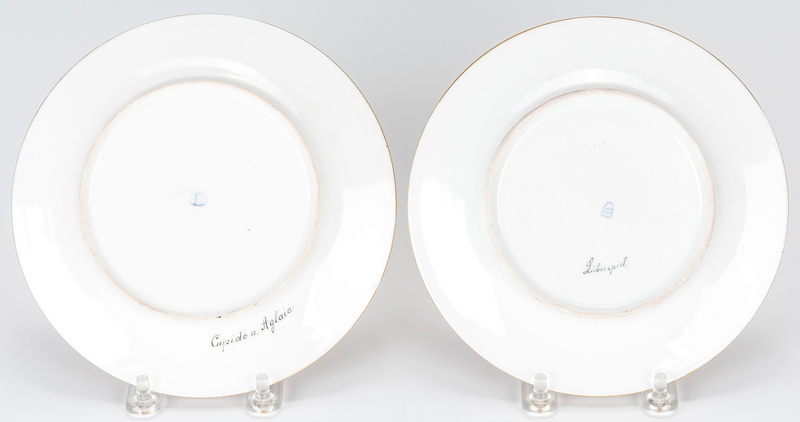 CONDITION: Both plates overall very good condition.